Luxury | Do you want to rent the ultimate luxury car? Luxury vehicles are ideal for renters seeking a vehicle with superb performance, precision construction and superior design. If you want to make your mark with style, choose a luxury vehicle for your next trip. 1) Navigate to the rate search box at the top of this page. 2) Enter the city you wish to rent a vehicle in. 3) Select the dates you wish to rent the vehicle. 4) Click on "Search for Rates." 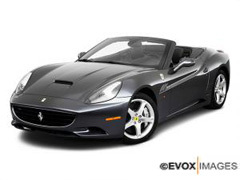 You will be taken to a search results page showing all of the luxury vehicles available for rent. 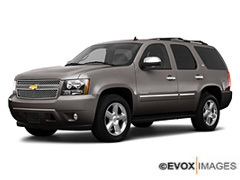 Here you can compare prices and vehicles and choose a location where you would like to pick up the vehicle. You can sort these listings by price, distance from downtown or airport, ratings and agency name. You can also change currency on that page to compare prices easier. It is currently defaulted to US dollars but that is easily changed. The search results page also has information about the car rental agencies as well as ratings and reviews that are one click away. You can also check map results to see where the agencies are located so that you can make sure the car you need is close to where you will need to pick it up. 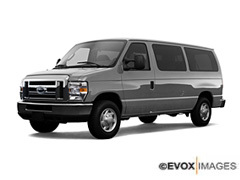 In many cases our agencies are located near or on the lot of major airports or in the downtown area of larger cities. Some agencies offer free pickup service but this is not always possible. Check the agency profile page to see what free services they might offer to their customers. Some of our agencies, such as Black & White Car Rental, specialize in luxury and exotic rentals. This means that in states such as California, Nevada and Arizona you can find some of the hottest cars by renting with Exclusive. We have exotic rentals in cities all over the world too. They offer some pretty fine automobiles, if it's in your budget. A few of the cars that Black & White Car Rental has in stock include the Ferrari 458 Spider, Ferrari California T, Lamborghini Huracan, Lamborghini Aventador Roadster, Bentley GTC Convertible, Rolls Royce Drophead, Rolls Royce Phantom, Rolls Royce Ghost, Bentley Bentayga, Jaguar F Pace, Jaguar F Type, Tesla Model S60 (2016), Tesla Model S 70 (2016), Tesla X, Tesla S75, Tesla Model 3, Cadillac CT6, Rolls Royce Wraith, Chrysler 300, Chevrolet Camaro Convertible, Ford Mustang Convertible, BMW M4, Mini Cooper Convertible, Cadillac Escalade ESV, Audi A8, BMW 428i Convertible,Dodge Challenger SRT8, Dodge Charger, Ford Mustang GT Convertible, Chevrolet Corvette Stingray Convertible and a huge selection of other models including cars made by Porsche, Range Rover and Mercedes Benz. For most people these cars won't be rented for long vacations but they might be perfect for special events, weddings and other occasions requiring a fancy vehicle. Car Rental Express offers luxury car rentals worldwide, making it convenient for you and your family to drive in style, comfort, and class. 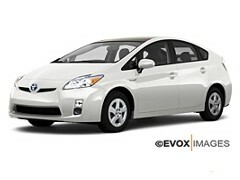 So, get rates and reserve your car today. Our fast and easy booking will give you peace of mind so you can kick back, relax and unwind. If you want to make heads turn while traveling, learn more about where to find cheap luxury car rental, benefits of having a luxury car and things to bear in mind before renting a luxury car. Luxury car rentals are available online. However, at Car Rental Express our independent luxury car rental agencies have the best deals on car hire. You will get access to all the car rental companies in one place and it will enable you to compare prices. A lot of people believe that luxury cars cost more because they are made from expensive materials. While this may be true, the fact still remains that you can rent a luxury car from cheap luxury car rental agency online. For example, Car Rental Express work with luxury car rental agencies worldwide to provide you with exclusive pricing and listings to match your budget. Our booking engine will help you to compare rates for luxury car rentals worldwide. We make it easy for you to book the best-discounted prices so that you can save more in your pocket. The Latest Technology – regular cars might come with some technology but when you rent a luxury car you can rest assured that you will have all the latest amazing technology. The experience – when you ride in a luxury car you will never forget the experience. From buttery soft leather seat to real-time navigation system - luxury car rentals is an experience like no other. Enjoy the pampering you deserve - even if it’s for a day, you will feel extra special enjoying the seamless class that only a luxury car can offer. You should get familiar with your luxury car rentals. Learn about some of the features and buttons before you left the luxury car rental agency. This will avoid any form of accident and allow you to enjoy your ride in comfort. Decide if you want to drive yourself or if you need a chauffeur. Make sure that you find a reputable agency with a good track record. Before confirming your booking ask about the actual cost and know what the cost involves. 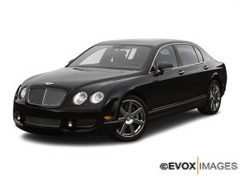 How do I book a luxury car from Car Rental Express? You can book a luxury car from the Car Rental Express website. Our website is mobile friendly which makes it easier for you to book a luxury car from anywhere in the world. Just visit the website and enter your luxury car rentals requirements and it will display luxury car rental agencies that match your search. Go to the search box and enter your destination city, select the dates, and then search for rates. Can I use my credit card or debit card for luxury car rentals? Yes, most car rental companies will accept credit and debit cards. Can I pay cash, if I do not have a credit card? There are some car rental agencies who will accept cash. When you visit the Car Rental Express website, you will have the opportunity to find out more about these agencies. I am 18, am I qualify for luxury car rentals? Car Rental Express makes it possible for anyone who is 18 to rent a car. To learn more, visit the website here. Car Rental Express offers luxury car rentals worldwide, making it convenient for you and your family to drive in style and comfort. Furthermore, you will experience a thrill with luxury car rentals, long after the rental is gone. When you rent a luxury car you will get the latest technology, and the pampering you deserve. Ready to rent your luxury car? Get rates and reserve your car today or browse through our comprehensive list of luxury car rentals agencies. We are sure you will find unbeatable prices, discounts, and offers.